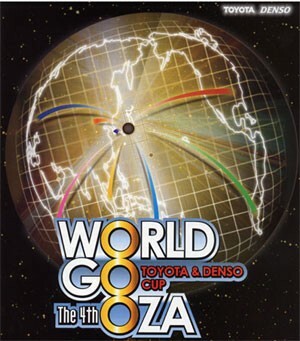 The International Go Federation Toyota & Denso Cup - World Go Oza was the newest of the world go championships until its discontinuation in 2009, most likely owing to weakness in the automobile market. It was held every two years. Tournament history and results may be found at http://igo-kisen.hp.infoseek.co.jp/tc.html. Tournament rules are also available here. The winner's prize was ¥30,000,000 plus a luxury car. The event was a 32-player knockout tournament, leading up to a best of three final match (from 2005 onward). Games were played with three hour time limits.